Who would have thought that taking care of our teeth would come along way more than just saving our loved ones from bad breath or irritation caused by bacteria in our mouth? Oral care is important because many studies have shown its relation to the conditions of the heart. A study in London according to Reuters showed that those people who have poor oral hygiene have increased risks in heart diseases. 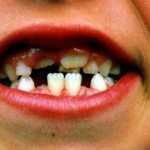 According to the study, unhealthy gums are likely to promote diabetes and other heart problems. The inflammation of organs in the body, which in this case is gums and teeth, relate to clogged up arteries. But how would people in olden times take care of their teeth if there were no toothbrush and toothpaste? They had a diet with a lot of vitamins and nutrients. This helped maintain their tooth enamel by limiting the sugar that usually rots present-day teeth. History and the present have indeed shown the importance of oral care in our overall health. Like the dentists’ always say, visit your dentist at least twice a year. Brush at least twice a day after meals. have a diet with diverse vitamins and nutrients. avoid smoking; we all know what it does to our teeth. A healthier teeth and gums are indeed proportional to total wellness. Eat healthy, live healthy so that there will be nothing but all smiles ahead.